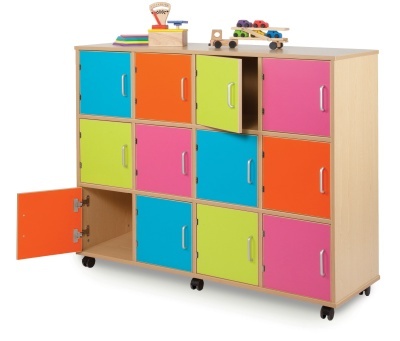 Stunning wooden lockers with vibrant multi-coloured doors and carcass in a Japanese Ash finish. Doors have large metal; handles. Mounted on double wheeled castors for easy mobility. Delivered assembled and ready to use.